Janet H. Marler, PhD, is a professor in the School of Business at University at Albany-SUNY. Prior to earning a PhD from Cornell University’s School of Industrial and Labor Relations, she held several senior financial executive positions in industry. 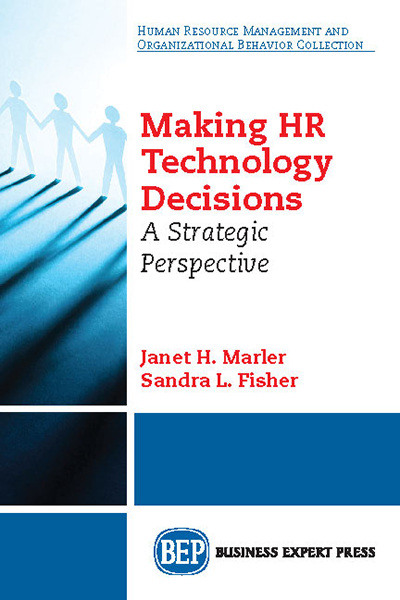 Her research on the strategic use of HR technology, strategic compensation, and alternative employment arrangements has been published in leading scholarly journals. Dr. Marler and Dr. Fisher co-edited a special section of the Canadian Journal of Administrative Sciences on e-HRM in 2016 and co-chaired the 5th International e-HRM Conference in NYC in 2014.